Nan A. Talese, 9780385540650, 240pp. 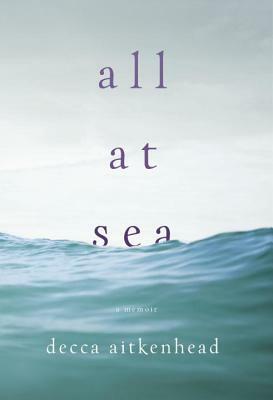 All at Sea is a remarkable story of love and loss, of how one couple changed each other’s life, and of what a sudden death can do to the people who survive. When Decca and Tony first met, a decade earlier, she was a renowned Guardian journalist profiling leading politicians of the day; he was a dreadlocked criminal with a history of drug dealing and violence. No one thought the romance would last, but it did—until the tide swept Tony away, plunging Decca into the dark chasm of random tragedy. Exploring race and redemption, privilege and prejudice, All at Sea is a breathtakingly honest, profound, and utterly unforgettable memoir. DECCA AITKENHEAD is an award-winning journalist who conducts interviews with leading figures in public life for The Guardian. She lives in rural Kent with her two young sons. "A heart-wrenching tale of race, unlikely love, and how grief changes everything. It’s unforgettable." "A tour-de-force ... Aitkenhead is rigorously unsentimental and unsparingly honest ... No one who reads her brave and eloquent book will ever forget endearing Tony or their incandescent love story." “An inspired portrait of [an] unconventional love story—he a drug-dealing ex-con, she an intellectual free spirit—stretching across lines of class, race, family history, and temperament. This is a star-crossed yet triumphant tale."